Paul Burstow MP was formerly the minister of state for care services, and is head of a commission on mental health at the liberal think-tank Centre:Forum. That commission has just brought out its report, calling for various policies as part of a National Well-Being Programme. Here he tells the Centre about the proposals. Why do we need a National Well-Being Programme? If you look at what drives well-being and what the biggest cause of human misery is in our society, it’s mental illness. And we know, because the evidence is very robust, that there are many things we can do at a very early stage to reduce the number of people falling ill in the first place, and many more things we can do to promote a recovery, so people can function well even with a mental health problem. So it’s both reducing incidence and promoting recovery that led the Commission to argue very strongly that we need a service that helps people not just when they’re sick, but that actively promotes well-being. Do you think there is room for improvement, then? We’re still light-years away from where we need to be societally. We still have huge problems of stigma and prejudice. It’s very obvious in the workplace where many people are very fearful of discussing mental illness with work colleagues or a manager, and that sort of attitude pervades all aspects of our society. It affects the way the NHS takes its decisions, and priorities physical health over mental health. That sort of institutional bias is a very pervasive one. In terms of focusing on early interventions, what would you do for children’s well-being? We’re backing something that the former Cabinet Secretary Sir Gus O’Donnell proposed in his recent report on well-being – we need to build well-being into a whole-school approach, so things around life-skills, values and character are an integral part of the curriculum. That can make a profound difference over the course of a child’s development, and help them to become more resilient – the more resilient a person is, the more likely they can cope with adversity. Do you mean have a particular subject in the curriculum dedicated to well-being? We think that precisely how this is approached ought to be a matter for the school itself. We’re not advocating a new subject dedicated to well-being. But clearly there are things around life-skills which would be relevant to Personal, Social and Health Education (PSHE) and other areas. We don’t want a one-size-fits-all approach. Schools should have an overall responsibility for promoting well-being. OFSTED has a role in assuring the public that schools have that role – that’s something that existed before and then was taken away from OSTED’s role, we think it should be reintroduced. 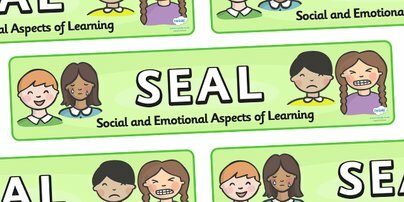 In the Noughties, schools had a commitment to teach Social and Emotional Aspects of Learning, but a lot of teachers felt they didn’t have the training to teach it, so either schools didn’t bother teaching it, or they did so but with some reluctance and awkwardness. That’s a fair point, and that’s why we make recommendations about teacher training. We need to see a return to the historical position where teachers were given training about children’s development. That was the case until the 1980s. Teachers need to be better equipped to identify mental health issues and to sign-post support services. One of the big things you’ve called for is parity in funding in the NHS for mental illnesses as for physical illnesses. Is that right? As a proxy for this, we should at least be looking to match spending to the burden of disease. About 23% of all disability is associated with mental health. At the moment the NHS spends £10-13 billion on mental health services. We’re advocated prioritized growth in the NHS budget for mental health services. Each year, it should receive an increase in investment of about £1 billion, in order to close the massive treatment gap in primary care for depression and anxiety. It usually goes untreated. Where would that money go? More money for talking therapies? It would go into delivering access standards; into delivering access to psychological therapies, particularly for young people. We know the lifelong benefits for early intervention are very significant indeed. It would also be about looking at improving the offer for perenatal mental health – there’s surprisingly little help available for dealing with maternal depression, which can have a big impact. So what is Public Health England’s role in the National Well-being Programme? PHE are already piloting national social marketing to promote the Five Steps to Well-Being, which are a good way of modelling this. We also think they have a role in supporting Health and Well-Being Boards, both in commissioning well-being services, and in making sure they use what they already have in the community. In the report, we note the evidence from the Liverpool Public Health Observatory, which examined all sorts of community and peer-support schemes, and showed the benefits they bring. These community services should be more visible. Ian Walton, a GP and part of the Sandwell Clinical Commissioning Group, spoke about Sandwell’s experience at our report launch – they’ve started something called the Sandwell Well-Being Hub which maps some of these community services, so GPs can tell people what’s available and help them get in touch. It’s very much about enabling GPs to tap into the existing strengths and assets of communities. And would that also mean helping those community groups get support and funding? That was one of the points Ian Walton made. By getting Health and Well-Being Boards to engage with this agenda, mapping what’s already there….some of these groups are very small and informal, and may need a place to meet, for example. So it may be about being a bit smarter in terms of providing premises. What about Improving Access for Psychological Therapies (IAPT), the government’s flagship talking therapy programme. Is that getting enough funding and political support? 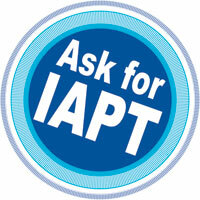 The adult and children IAPT services need to continue. But access needs to be widened – only 15% of those who could benefit are getting access. That needs to significantly increase. And too many IAPT services only provide Cognitive Behavioural Therapy. The improvement plan for IAPT back in 2011 said there would be a widening into other modalities like family systemic therapy. That needs to happen. Why, if the government has been spending a lot more on talking therapies for the last five years, is spending on anti-depressants still going up and up? Basically because we’re still not matching supply to demand in terms of the number of people with depression, anxiety and other mental illnesses, and IAPT referral isn’t always possible – expanding those services is vital. Considering all the formal and informal initiatives to improve well-being over the last 30 years, from the massive expansion of anti-depressant use, to the increase in talking therapies – none of that seems to have impacted our national well-being level, which has stayed stubbornly flat since the 1950s. That’s perhaps because when you aggregate up to the national level, only major societal collapses seem to have much statistical impact. Given that, is it practical for governments to set national well-being targets? If you were to set it as a national target, then no. It’s important to collect that data, it’s important to look at it. What we say in our report is we need more granular and local statistics, to help guide Health and Well-Being Boards and to measure the impact of services. The other thing we published yesterday was the UK’s first ever Atlas of Variation in terms of factors that underlie good or bad mental health – it shows stark variations. What can government do to improve well-being-at-work? It can take a lead in improving practice within public sector organizations. 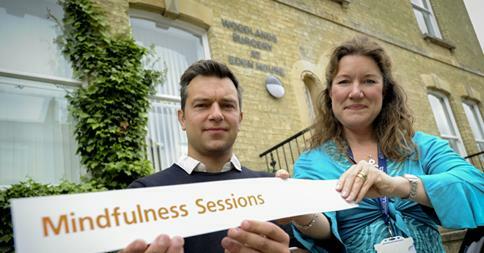 There are a number of available frameworks, such as Mindful Employer, which uses mindfulness; there’s the MIND mental health-friendly employer framework. So public sector organizations could use them, and government could use procurement processes to set standards. Secondly, we think the work programme needs to change. It’s been a failure when it comes to people with mental health problems. Only 5000 of the 125000 who have been supported into work by the work programme have mental health problems, yet we know that some individual placement support schemes work. Employment should be seen as a clinical outcome. We also think that Access to Work could play a bigger part – only a very small number of people with mental health problems get any support to enable them to carry on at work or return to work. The president of the Faculty of Public Health recently said we should move to four-day working weeks to reduce stress. What do you think? It’s not about the quantity of time, it’s the quality of the job. So we wouldn’t support that. What about more online resources? Both IAPT and Public Health England are trying to improve people’s psycho-education, to help them learn how to take care of themselves. But I don’t see much in the way of really good public health sites or even Massive Open Online Courses, that could bring mental health education to life in an entertaining and engaging way. It’s a good question. Public Health England has a leadership role in this area, and is currently piloting some stuff. Two final questions on the politics of well-being. Firstly, some people feel the government is overstepping the proper bounds of the liberal state when it tries to tell us how to be happy. What do you think? 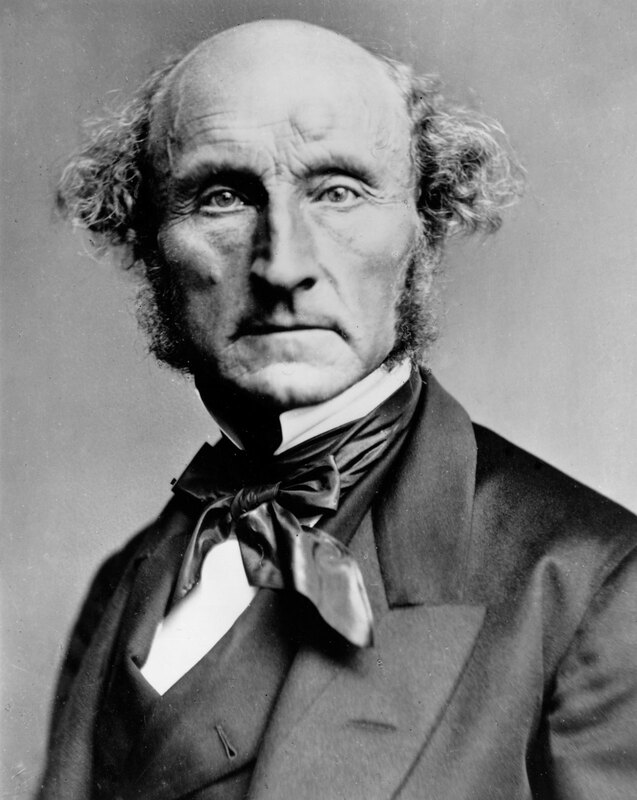 John Stuart Mill was one liberal philosopher who pondered the balance between wisdom and personal autonomy. If the intention was to tell people how to be happy, that would be overstepping. That’s not what this is about. When I was care minister and responsible for the Care Act, that Act has as its first organizing principle the notion of individual well-being. At the heart of that is the idea that the individual is the best judge of what their own well-being consists of. Well-being is a very liberal concept – it’s not about telling people what they must do to promote their own happiness, but it is about recognizing barriers to well-being. The state has a role in terms of removing barriers and providing education to help people realize their well-being. But there are perhaps broader cultural issues underlying the amount of depression and anxiety in our society, which the NHS is not well-placed to handle – I mean a general loss of a sense of meaning or purpose, and a decline in the sense of community. Over the last century or more, we’ve seen the decline of two grand narratives from which people drew meaning and community – religion, and political party or trade union membership. The modern consumer state seems good at providing short-term happiness, but not so good at giving people a more long-term sense of meaning, purpose and community. And that’s not something the NHS can really tackle, is it? Well, that’s not an easy last question. What I’d say about that is, the NHS can’t do it all. It’s a reflection of the society it’s in. One of the things that good primary care is about is not just seeing the world through a medical lens. It’s about seeing the broader picture of the whole person and the community they’re in. We talk in the report about the role of primary care changing, and GPs having a role in mental and behavioural health, and linking individuals up to community services. It’s not about the state or GPs telling people what should be provided, but also tapping into what’s already there. And how can GPs keep quality control of community groups. Some of them might be culty or extremist or teaching people things that aren’t good for them. How do you keep quality control? 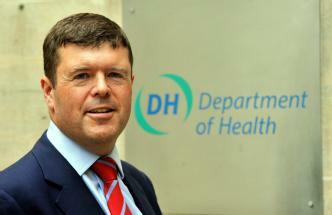 Sandwell is a good example – they keep a hub which enables GPs to respond to concerns. It’s about providing information and then letting people choose what they take up. The state can’t be the agency that gives the seal of approval to every community group out there, especially ones not funded by the state. This entry was posted in Politics of Emotion and tagged well-being by Jules Evans. Bookmark the permalink.